Hu-Dad was watching Typhoon eating snow and asked the Little Prince to explain the biggest mystery around this culinary delight. That looks like a tasty bit of snow. This time of year, we tend to get a lot of fairly unremarkable snowfalls. We had about an inch Friday night, about another inch Saturday night, and then about 3 inches Tuesday night. These are enough to cover the ground with a little white fluffy goodness, perfect for a consummate snow eater like Typhoon. So what is the mystery? 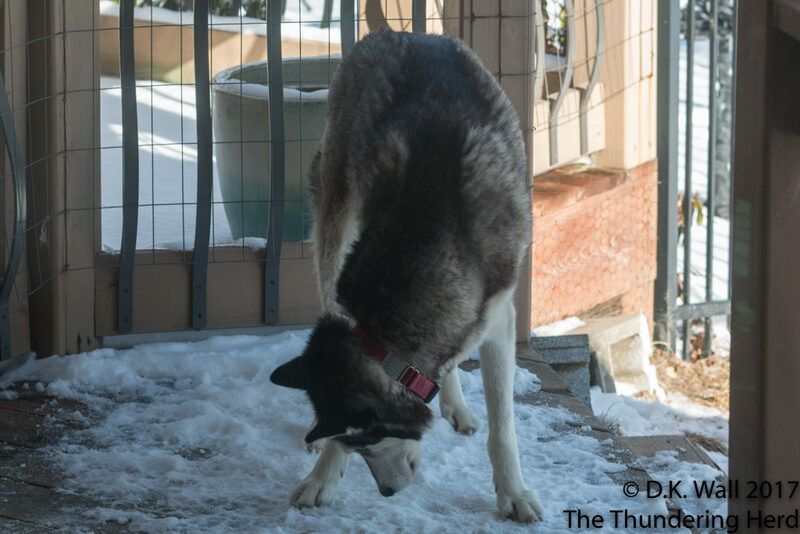 Hu-Dad just wants to know – with all of that fresh snow all over the yard every day, why is the packed down snow that everyone has walked all over the tastiest? Digging up more dirty snow. The picky eater has found his ultimate delight!!! It has been walked on and has all the deliciousness of everyone’s adventures. 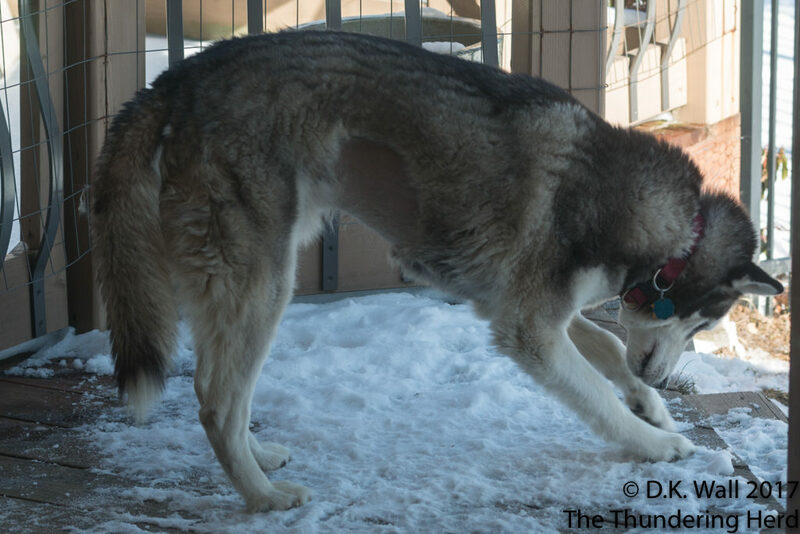 My two german shepherds this year have taken to eating ice that forms under the snow. Leena would take issue with this pickiness. 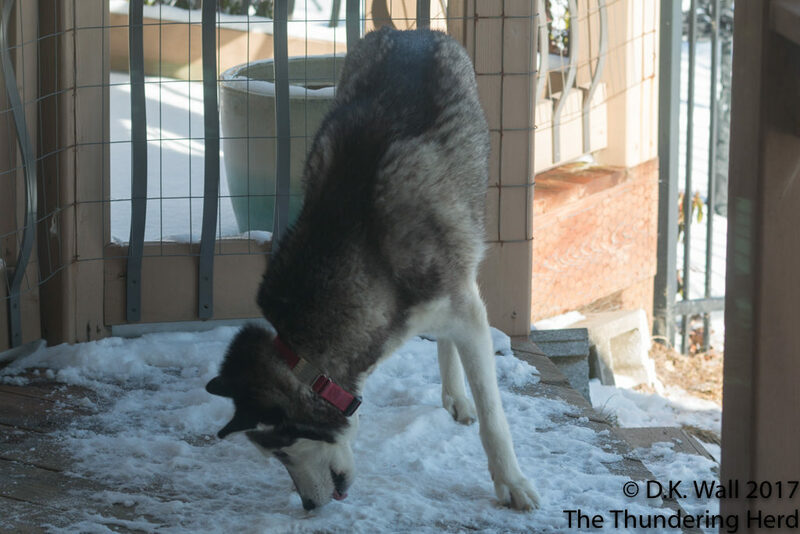 She says you shouldn’t be eating that snow….You should be eating all the snowz.